OXNARD, CA – By almost any measure, whether it’s his gaudy statistics, his rapidly-approaching payday or even his Madden rating, Dez Bryant is considered one of the league’s top receivers. How 'bout a QUICK SHARE partner? It was announced Wednesday that the NFL will partner with CBS to produce and televise 16 games under the “Thursday Night Football” banner for the 2014 season. CBS will air eight early-season games before NFL Network takes the baton for eight late-season games leading up to the playoffs. Fourteen games will be played Thursday, with two late-season games taking place Saturday. All 16 games will be produced by CBS with Jim Nantz and Phil Simms — the network’s No. 1 announcing team — calling Thursday night games. The first eight games on CBS will be simulcast on NFL Network. The agreement is for the 2014 season with an additional year at the NFL’s option. What does this mean? Well, “Thursday Night Football” is about to get bigger. Airing eight games in prime time on television’s top-rated network will be a ratings bonanza. Expect to see some premium matchups in those first eight weeks as the brand is established on a new platform. The CBS ratings surge should create momentum when NFL Network takes over in the season’s back end. Many fans also will be pleased to see the return of NFL football on Saturdays, something that slipped off the grid in recent years. The only real negative on our end? This looks like the end for the Thursday night team of NFL Network’s Brad Nessler and Mike Mayock, who have done quality work for the past three seasons. Future stars of the NFL will hit the field in Mobile, Ala. for the 2014 Reese’s Senior Bowl at 3:00 this afternoon. Check out the pro football talent scouted by the Cowboys and imagine how some of these young men might fit on the Dallas Cowboys 2014-2015 roster. Last year’s Senior Bowl class produced a whopping 10 first-rounders, three top-five selections and the No. 1 overall pick. 1. Injuries forced many top prospects to pass on the Senior Bowl: Top talents like Michigan OT Taylor Lewan and UCLA LB Anthony Barr were among the 19 invited players that weren’t healthy enough to participate. 2. Nine invited prospects made a “business” decision to stay at home: Alabama QB AJ McCarron made headlines prior to the week when he announced he would pass on the Senior Bowl opportunity on the advice of his agent. He wasn’t the only player to make that choice. Top prospects C.J. Mosley and Khalil Mack were among the other healthy prospects that elected to pass on the Senior Bowl experience. 3. The upcoming draft will feature a record number of underclassmen: This Senior Bowl crop will be competing for draft positioning with one of the most talented underclassmen groups we’ve seen in a few years. While there likely won’t be any top-10 picks to emerge from this year’s game, don’t be surprised if six players hear their name called in the first round of the upcoming 2014 NFL Draft. 1. 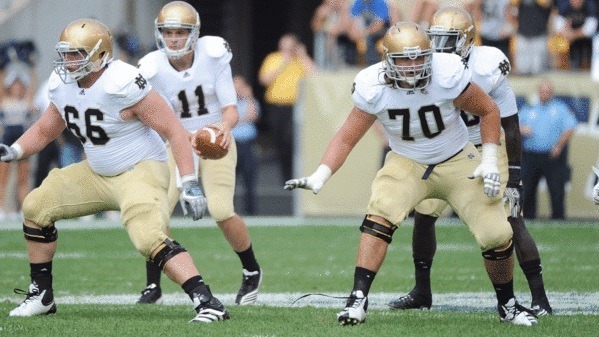 Zack Martin, OT, Notre Dame #70): He was outstanding all week long. He has enough athleticism to play tackle, but he has Pro Bowl potential as a guard. 2. Aaron Donald, DT, Pittsburgh: His combination of quickness and power was a matchup nightmare for opposing offensive lineman. He doesn’t have ideal size, but he held up well in the team and run periods. 3. Morgan Moses, OT, Virginia: He has ideal size and quick feet. He’s not a great knee bender, but he held up well in 1-on-1 pass-rush drills. He creates a lot of space in the run game. 4. Ra’Shede Hagemen, DT, Minnesota: He had an up-and-down week, but he flashed enough to keep his name in the first-round conversation. He’s a size/speed freak with a huge upside. 5. 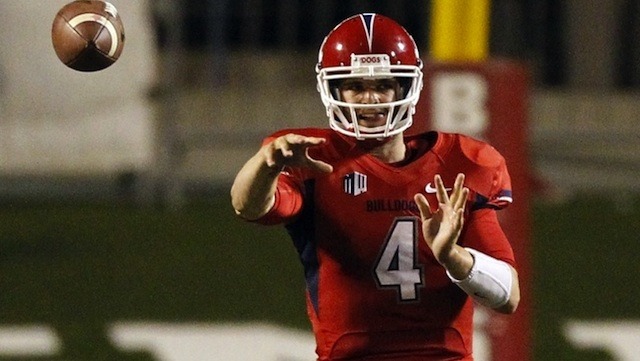 Derek Carr, QB, Fresno State: He was the best quarterback in Mobile, and teams that met with him really like what they heard. He has a big arm and he was accurate throughout the week. 6. Dee Ford, DE, Auburn: He was the most explosive edge rusher throughout the week. Most teams I’ve spoken with have him rated as a second-round prospect, but I wouldn’t be surprised if he snuck into the bottom of the first round because of his pass-rush skills. It’s hard to find a talented interior defender blessed with Hageman’s size and athletic gifts. Measuring 6-foot-6, 311 pounds, Hageman glides across the field like a gazelle, yet flashes explosive strength and power at the point of attack. While scouts are certainly fascinated by his physical tools and unlimited potential, Hageman’s marginal production and inconsistent motor keep him from rating as an elite prospect at the point. Now, Hageman has changed the perception of his game by dominating the competition in practice this week, but scouts need to see him take it to another level when the lights come on to solidify his standing as a mid-to-late first-round selection. The league is trending toward bigger corners on the perimeter after watching the Seattle Seahawks make their way to Super Bowl XLVIII behind a physically imposing secondary that features long, rangy athletes on the outside. Jean-Baptiste is a former wide receiver turned cornerback with impressive physical dimensions (6-3, 220) and ball skills. He has been the top cornerback in attendance, displaying a refined game that is ideally suited to play in a scheme that features press-man coverage extensively. Although Jean-Baptiste has made a strong case to be in the discussion as a borderline Day 1 selection, a spectacular performance in the game could send the Nebraska star flying up the charts. Scouts pay close attention to players who dominate the practice week at the Senior Bowl. Ford has not only thrashed opponents in drills, he has produced a number of disruptive plays that would qualify as game changers at the next level. Although he flashed that kind of potential occasionally at Auburn, no one expected him to destroy the competition with his speed, burst and athleticism off the edge. In doing so, Ford has convinced several scouts and coaches that his skills translate well to the NFL as a designated pass rusher. If Ford can continue to display the quickness, burst and rush skills in the game that he has shown throughout the week, Ford will be one of the fastest risers up the charts heading into the combine. The NFL scouting community has been buzzing about Carr’s potential as a franchise quarterback since his emergence as a standout playmaker the past two seasons. He has lit up the Mountain West Conference for 9,086 yards and 87 touchdowns against only 15 interceptions. Most impressively, he has displayed a lively arm to match his superb athleticism and improvisational skills. Yet, some scouts still question his poise and composure within a muddied pocket. This was one of his biggest flaws discovered in his 2012 tape (junior season), and it reappeared in a disappointing showing against USC in the Las Vegas Bowl. With another opportunity to show his wares against a squad with NFL-caliber players at every turn, Carr needs to show scouts that he can deliver pinpoint throws with defenders in close proximity. In addition, he must show coaches that he has the poise to work through his progressions to find an open receiver with the pocket crumbling around him. If he can withstand the pressure, while making a few accurate throws downfield, Carr could leave the Senior Bowl rated as the top senior quarterback in the draft. There are some scouts who believe Thomas is better suited to play tight end at the next level, but his combination of size and arm talent makes him too enticing to disregard as a quarterback. Thomas has enjoyed an up-and-down week of practice, but his flashes have been impressive enough to keep his name in the mix as a developmental quarterback prospect. With the NFL ushering in a new wave of athletic quarterbacks, Thomas’ performance in the game could significantly impact his chances of getting a legitimate shot to play his preferred position as a pro. On January 23, 1994 the Dallas Cowboys defeated the San Francisco 49er’s 38-21, and Jimmy Johnson’s famous “How bout them Cowboys!” quote from the previous year’s NFC Championship Game in Candlestick Park. Editors comment: As a reader pointed out, the original title of this post suggested that this NFC Championship lead to the “Making of America’s Team.” In fact, the term “America’s Team” became popular after Bob Ryan (of NFL Films) used it while preparing the Cowboys 1978 season highlight film. Also, Jimmy Johnson’s “How ’bout them Cowboys” quote came after the 1992-1993 NFC Championship Game in San Francisco. Spread the word about The Boys Are Back blog! Use the SHARE buttons below! There are plenty of Cowboys fans who feel like Tony Romo gets a bad rap. But is the Dallas Cowboys quarterback really one of the most underrated players in franchise history? That’s what NFL.com analyst Elliott Harrison recently wrote while trying to name the most overrated and underrated players in the history of the Dallas Cowboys. Romo joined an underrated list that included Chuck Howley, Cliff Harris, Darren Woodson and Everson Walls — some pretty elite company. But Harrison says Romo’s 95.6 passer rating (which ranks fifth all-time among quarterbacks) and his 55-38 record as a starter are proof that he’s far outplayed his reputation. Harrison also has an interesting rebuttal for the players who didn’t vote Romo on the NFL Network’s Top 100 list recently. David “Deacon” Jones, the Hall of Fame defensive end whom some consider the greatest defensive player in NFL history, has died at the age of 74. The Washington Redskins, for whom Jones played his final NFL season in 1974, posted an obituary on their website Monday night after announcing the news. Natural causes was given as the cause of Jones’ death. Jones’ NFL career started in 1961, when he was selected by the Los Angeles Rams in the 14th round (186th overall) out of Mississippi Vocational (now known as Mississippi Valley State). Jones spent his first 11 seasons in Los Angeles, where he teamed with Merlin Olsen, Rosey Grier and Lamar Lundy to form “The Fearsome Foursome” — one of the most famous defensive lines in NFL history. 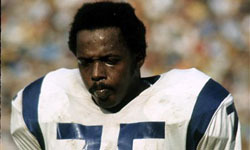 Jones was selected to seven consecutive Pro Bowls with the Rams from 1964 to 1970 and made eight overall. Few would disagree with former Rams coach George Allen, who labeled Jones as the “greatest defensive end of modern football.” Jones, also a two-time NFL Defensive Player of the Year, was nicknamed “Secretary of Defense” by Rams fans. Jones later was named “defensive end of the Century” by Sports Illustrated in 1999. Jones was inducted into the Pro Football Hall of Fame in 1980. Jones — who proved to be one of the more durable players in NFL history, missing just five games during his decorated 14-year career — was traded to the San Diego Chargers in 1972 and had immediate success, receiving defensive captain honors and a Pro Bowl selection. Jones finished his career in 1974 with the Washington Redskins. Sacks weren’t kept as an official NFL statistic until 1982. Had they been kept far earlier, few doubt Jones would be the NFL’s all-time leader. 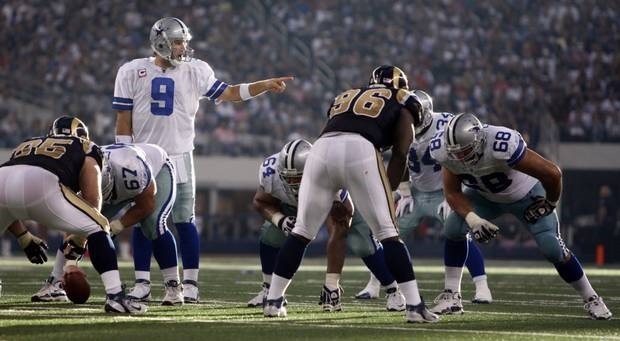 According to the Rams’ media guide, Jones recorded a team-best 159.5 sacks with the franchise and 173.5 in his career. He recorded double-digit sacks seven times with the Rams and became the first defensive lineman to post 100 solo tackles in a season (1967). Jones achieved success in the corporate world in the decades following his retirement, but the football accolades continued piling on. He was named to the NFL’s 75th anniversary team in 1994 and voted the 15th greatest player in league history in a 2010 NFL Network special. Jones made several trips to visit troops in Iraq and was active in the community. He particularly enjoyed working with youngsters and youth organizations. His passion for helping shape young minds led him to start the Deacon Jones Foundation in 1997. He served as the foundation’s president and CEO. 06:05 – NFL Films looks back at Hall of Fame defensive end Deacon Jones’ legendary career with words from his contemporaries and the man himself. Click HERE to watch video. 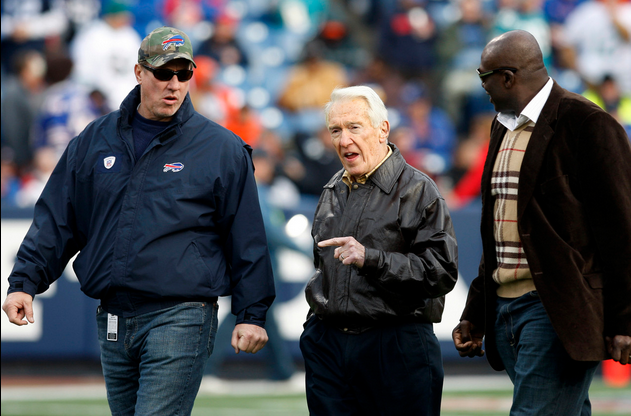 Former Buffalo Bills quarterback Jim Kelly announced today (Monday) that he has been diagnosed with cancer. The Hall of Fame signal-caller is battling Squamous-cell carcinoma of the upper jawbone, and he is scheduled to undergo surgery Friday. “This past couple of weeks has been difficult for me and because of the nature of social media I thought it would be best to share with everyone what has been going on with my health,” Kelly said in a statement on the Bills’ official website. “I was recently diagnosed with Squamous-cell carcinoma (cancer) of the upper jawbone. Kelly knows there’s a long road ahead, but he expressed optimism Monday that he’ll be OK.
“When you hear the word cancer, it automatically scares the crap out of you,” Kelly told reporters Monday. “I know it not only scared me, but it scared my family. Like everything, it’s just another river to cross and another stumbling block. Kelly was inducted into the Pro Football Hall of Fame in 2002 and is the Bills’ all-time leading passer with 35,467 yards. 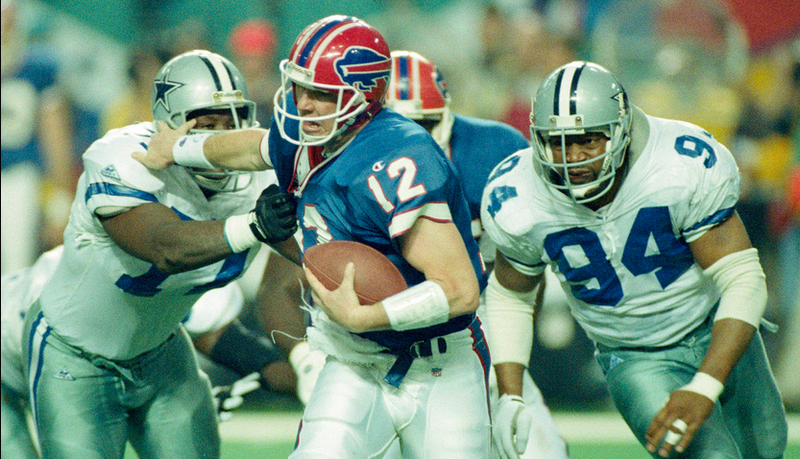 He also led the Bills to four consecutive Super Bowls from 1990 to 1993. Our thoughts are with Jim and the entire Kelly family. All of us here at NFL.com and NFL Network wish him a speedy recovery. Meet three of the newest Dallas Cowboys, Travis Frederick, Gavin Escobar, and Terrance Williams as they are introduced at Valley Ranch. Dallas Cowboys head coach Jason Garrett joins NFL Network to discuss the team’s picks in the 2013 NFL Draft. 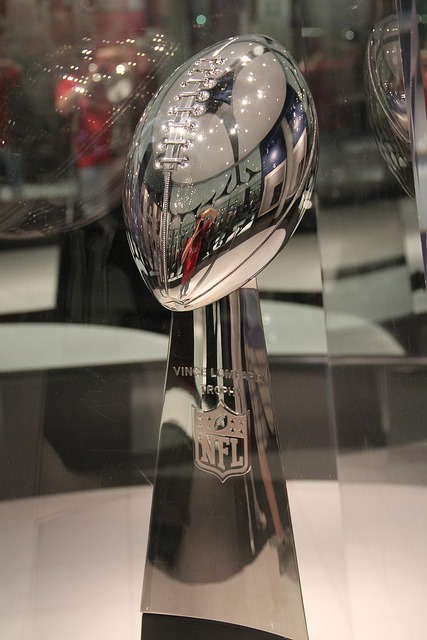 The 2013 NFL Draft returns to primetime, with the first round taking place tonight (Thurs., April 25) at 8 p.m. ET, followed by the second and third rounds on Fri., April 26 at 6:30 p.m. ET. Rounds 4-7 will be held Sat., April 27 at 12 p.m. ET. Check out the official NFL website’s coverage by clicking HERE. NFL’13 with Draft Xtra has everything you need for the Draft. Download app now! Listen to the 2013 NFL Draft live on Dallas’ 105.3 The Fan … click HERE to listen online. The Fan 105.3 Dallas (KRLD) … Flagship of The Dallas Cowboys Radio Network! will have extended coverage after the draft. Enjoy this special feature? Use the SHARE and LIKE buttons below. Help us spread the word about The Boys Are Back blog. Throughout his third season with the Dallas Cowboys it seemed as if Dez Bryant became more comfortable speaking to the media in the locker room at Valley Ranch and after games at Cowboys Stadium. Bryant continued to demonstrate that comfort Wednesday as he appeared on a couple of NFL Network shows and a podcast on NFL.com. Being one of the most popular players in the NFL, Bryant’s actions are constantly viewed under a microscope. For example, when Bryant says it’s possible for him to catch 20 touchdowns and total 2,000 receiving yards in a season, critics say he should be more focused on team goals than individual accomplishments. And Bryant hears the criticism. To clarify his comments about a potential 2,000/20 season, the 24-year-old said it’s “possible” but not where his focus is at. “You still have to win – that’s the main goal – have to get into the playoffs and we are going to work to do that,” Bryant said. 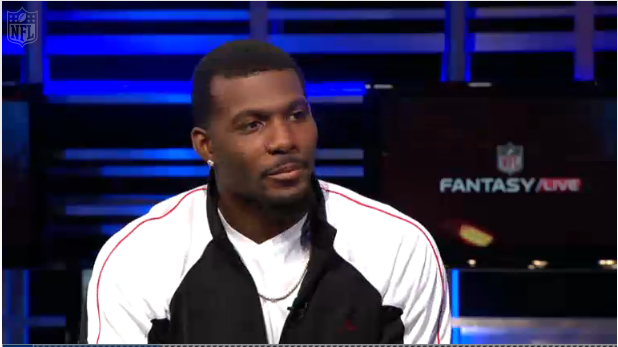 During that fantasy football show Bryant was asked about the outstanding statistics he turned in during the 2012 season. Bryant had a career-high in catches (92), yards (1,382) and touchdowns (12). The former Oklahoma State standout really turned things up during the second half of the season, totaling 10 touchdowns and 879 yards during the final eight games. When asked where he would draft himself among the elite fantasy football receivers in the NFL, Bryant said fifth, behind Calvin Johnson, Andre Johnson, Fitzgerald and Brandon Marshall. Here are a few other highlights from Bryant’s time with the NFL Network. 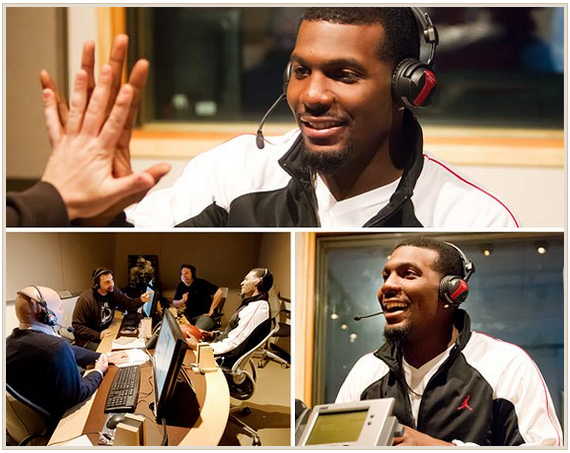 Dallas Cowboys wide receiver Dez Bryant joins Dave Dameshek and the gang live in Studio 66 (Nick Lucero/NFL) – Click HERE to listen. To watch the NFL FANTASY LIVE video, click HERE. Enjoy! 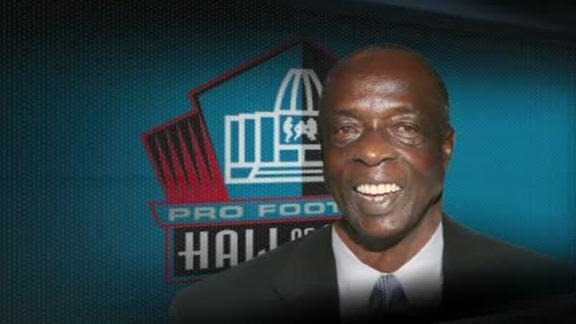 07:44 – Former Dallas Cowboy Ed “Too Tall” Jones discusses his induction into the Black College Football Hall of Fame, NFL Hall of Fame, current defensive ends, the Rooney Rule, and the Dallas Cowboys. MOBILE, Ala. — Jerry Jones wanted uncomfortable. He openly spoke about an offseason with everyone being on edge. Wish granted. This is what it feels like. NFL personnel people pulling friends aside and wondering, “What’s going on with the Dallas Cowboys?” The team’s owner speaking with reporters for 30 minutes to address the issue of who will take over as offensive play caller, only to leave those listening with merely an indication of the team’s direction. Jones and head coach Jason Garrett both embracing a reality neither has supported in the past. Oh, and the Cowboys still trying to climb out of a ditch, as Jones put it. Yup. These are the Dallas Cowboys of 2013. The reality is, these circumstances are setting Garrett up for a make-or-break season, which of course is better than not having the opportunity to return in the first place. What have the Cowboys done this offseason, which began abruptly after Robert Griffin III and the Washington Redskins took Dallas’ playoff spot in a de facto NFC East title game? Plenty of restructuring. 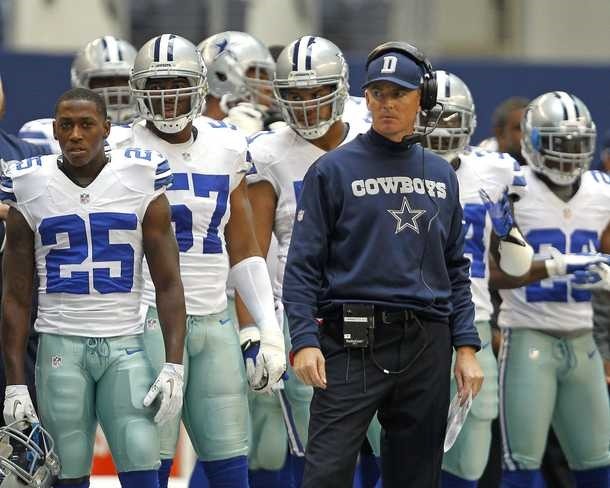 Offensive coordinator Bill Callahan likely will call plays, taking over the role from Garrett. Soon-to-be 73-year-old Monte Kiffin, back in the NFL after a lackluster stint in the college game, will be the team’s defensive coordinator. Former Chicago Bears defensive coordinator Rod Marinelli is the defensive line coach. 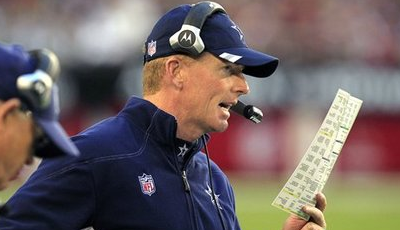 Jason Garrett’s brother, John, was re-routed to Tampa Bay to become the Buccaneers’ receivers coach. There will be more tinkering. NFL people raised their eyebrows about the move to hire the master of the Tampa 2. Could be genius. Could be … not. For his part, Kiffin laughed about his age. As Kiffin slowly morphs the defense, installing the 4-3 scheme for which he believes the personnel is better suited, Garrett will watch the offensive adjustments from not quite as close. In his new role, Garrett will be free to focus on in-game situations, time management and other head-coaching duties he had no choice but to short-change while simultaneously serving as offensive play caller. Jones says Garrett encouraged this shift. Perhaps that’s true. But on Tuesday, while speaking with local reporters before Jones had officially announced the news, Garrett simultaneously supported a move away from calling plays while pointing out that there’s nothing that says a coach can’t call plays and master in-game situations. Um, OK then. The Cowboys love Garrett as a leader. The brass was especially pleased with his delicate and masterful handling of the off-the-field drama that followed the death of practice squad linebacker Jerry Brown and the related DWI incarceration of defensive tackle Josh Brent. And it was noted that Garrett somehow managed to sidestep a PR disaster when Brent appeared on the sidelines for a game after the incident by making sure it wouldn’t happen again while also refusing to treat Brent as an outcast. The doors of the facility were always open to Brent. Players noticed. Everyone did. In an unfortunate coincidence, Garrett and the Cowboys suddenly found themselves facing another drunk-driving issue: Starting nose tackle Jay Ratliff was arrested and charged with DWI early Tuesday after his pickup truck struck an 18-wheeler. The coach’s handling of this situation will be closely monitored. 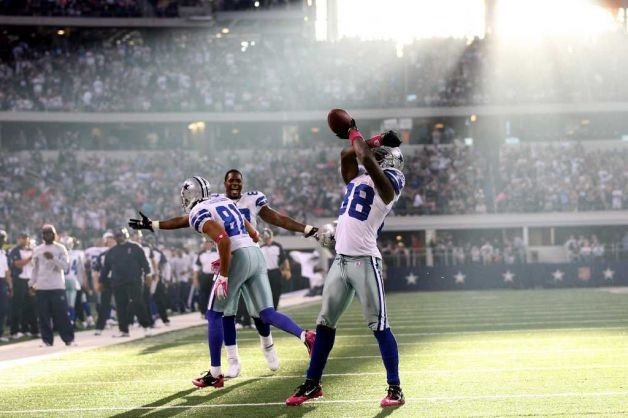 But the fight the Cowboys showed in 2012 when they were down in games — which happened frequently — demanded attention. Oh, and Garrett also helped the ‘Boys overcome a slow start to win five of their first six in the second half of the season, putting them in position to … lose their final two games and come up short for the playoffs. Now, it seems, he has one more year to make it happen. Is it playoffs or bust? It might not be so simple. What if the Cowboys start out slow and look anemic, as they did this past season? Could Garrett withstand a limp out of the gate? What if they make the playoffs and lose? Does he have enough job security to handle that? The Cowboys believe in Garrett. They have since they sunk millions into him as an offensive play caller. They’ve believed in the process. It took them to the brink of the playoffs, but no further. And now? They have stripped away the foundation and rebuilt. New defense. New offensive play caller. A new focus for the head coach. And a new view of the timetable facing Garrett going into his third full season at the helm. 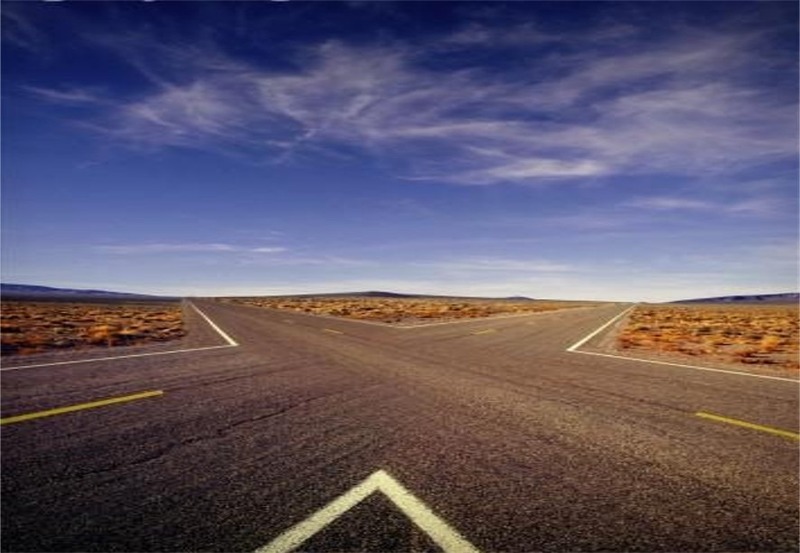 Only time will tell if the new approach yields different results. Editors comments; Pardon the negativity from the official National Football League’s website, much of which (NOT ALL) was edited out. The interpretation of the Valley Ranch changes should be one of optimism and one of an owner (and general manager) searching for answers …and a turnaround. Listen to the actual words from Jerry Jones in the video to get a sense of what the real intention are here. Try to overlook the NFL websites attempt to kill the golden goose (Dallas Cowboys). Without the Dallas Cowboys, what is the NFL? The irresponsible reporting from Ian Rapoport and Gregg Rosenthal (editor) are beyond contempt. It’s beyond me how the official website of the National Football League can justify bias reporting and pandering against the Dallas Cowboys. You’d expect a balanced, factual based account of all 32 teams … not idiotic statements from these two jackass yahoo’s in a suit. Publish facts as responsible journalists and let the readers decide. I published this post to make several points. Namely, listen to the actual voices (in there entirety) of role-players (and decision makers) that matter … Jerry Jones, Stephen Jones, Jason Garrett, coaches, staff, and players … and rely on this blog if you want ACTUAL factual coverage of the Dallas Cowboys and their quest to remain America’s Team. 99% of the time you’ll find articulate and accurate representations of facts from skilled and informed sports journalists … the ones that have earned trust. Dallas Cowboys coach Jason Garrett said a step back away from play-calling provides a more objective look at the team. But whether it makes a head coach a better game manager is not settled in his mind. “If you watch football every week, there are game situations that are handled by coaches that call plays, there are situations that are handled by coaches who don’t call plays. 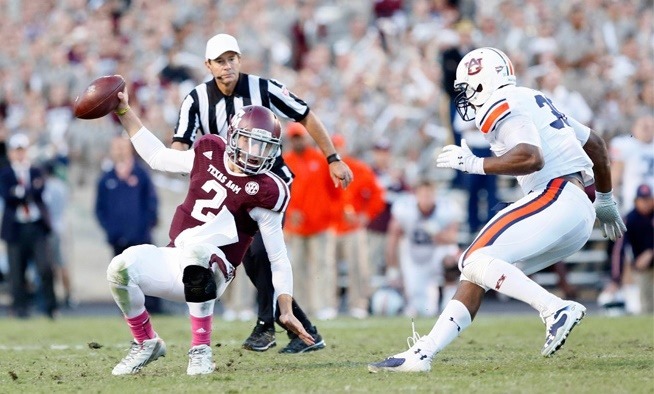 Sometimes they’re handled well, sometimes they’re not,” Garrett said Tuesday at the Senior Bowl. “This idea that there’s no way you can call plays and handle the game situations – we’ve come back in a lot of games and handled game situations really well. Sometimes we haven’t handled it as well. That’s my responsibility. I have to make sure we do it better. That’s independent of whether I call ball plays or not. Garrett and the Cowboys are considering using another play-caller next season. Owner Jerry Jones said Tuesday back-to-back 8-8 seasons have him open to changing his mind that the head coach should be calling the plays on one side of the ball or the other. Garrett said he can coach either way and that he has seen the benefits and drawbacks of both methods. 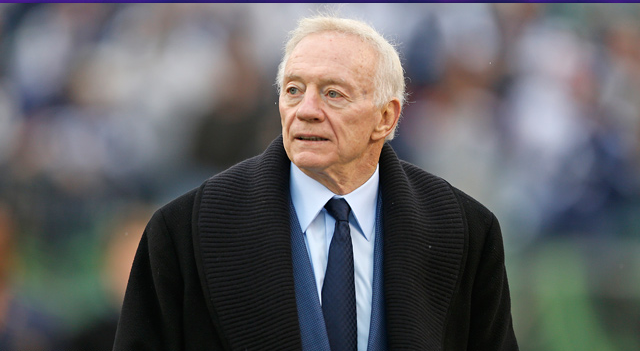 06:54 – Dallas Cowboys owner Jerry Jones joins NFL Network at the Senior Bowl to talk personnel changes and coach Jason Garrett role as the teams play-caller. Click HERE to watch video. The Dallas Cowboys are planning to make changes after failing to make the playoffs for a second consecutive season under coach Jason Garrett. NFL.com’s Ian Rapoport reported Monday that Garrett’s job is secure, but Dallas does plan to bring in help on the offensive side of the ball. "The Cowboys intend to keep Jason Garrett, I have not heard this morning that that has changed," Rapoport told NFL Network on Monday. "A better possibility is that the Cowboys could hire an offensive coordinator to call plays for Jason Garrett and allow him to be a walk-around coach and essentially just be the leader of men that they think he can be." The move would require some finessing of titles because offensive line coach Bill Callahan also holds the title of offensive coordinator. Callahan’s role is more hands off because Garrett has called plays in Dallas during his 21-19 run with the team. That obviously would change. The Cowboys are showing faith in Garrett’s leadership. He navigated his team through some tricky scenarios in 2012 and had the Cowboys at the brink of a playoff berth. Dallas fell short once again, but the team believes minor — not major adjustments — are in order. The Pro Bowl will go on this year, but NFL Commissioner Roger Goodell has made no secret of the fact that the all-star game may not continue in future years. 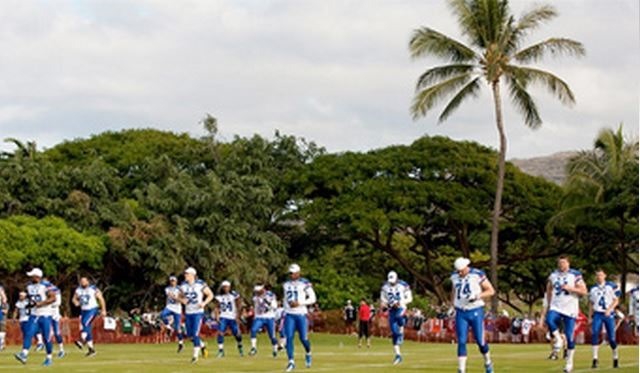 So what would a Pro Bowl-less NFL calendar look like? According to NFL.com’s Albert Breer, one possibility would be replacing the game with a college all-star game. Breer writes that the AFC and NFC’s all-star team could be recognized at the NFL Honors award show on the Saturday before the Super Bowl, with the college players hitting the field after. "That game would likely be an existing college event, most likely the Senior Bowl, which would be moved to be part of the NFL calendar, with the thought that it could kick off draft season and highlight prospects on a bigger stage, though the league would certainly be careful about NCAA rules entanglements," Breer writes. The concept would be to mix today’s stars with future stars. Breer’s well-researched piece has comments from NFL executive vice president of business ventures Eric Grubman, who sounds like he doesn’t see a traditional Pro Bowl in the future. NFL Films has compiled a Super Bowl collection with 45 hours of content that features highlights from all 46 of the games. The 23 DVDs and a 26-page retrospective book with a foreword by the late Steve Sabol will be released through Gaiam Vivendi Entertainment on Nov. 13. It also includes an NFL Network program counting down the top 10 Super Bowls, and a year-in-review film for each team that lifted the Vince Lombardi Trophy. Since 1965, NFL Films has been a ground breaker in telling the stories of the league. It has won 107 Emmy awards. Founded by Ed Sabol, his son Steve began as a cinematographer and eventually became president of the company. Steve Sabol died in September, a year after being inducted into the Pro Football Hall of Fame. "Steve always loved the Super Bowl films," said Todd Schmidt, senior producer at NFL Films. "He either cut them himself or put one of the top producers on it. Steve knew that the Super Bowl transcended the average football fan and he wanted films that told the story in historical context with an emphasis on the personal triumph on the largest stage imaginable." Sabol was one of a handful of people who attended every Super Bowl. So his perspective from the days of Paul Hornung and Joe Namath to the Steel Curtain, the West Coast offense and the Mannings at quarterback was particularly insightful. "The first law in the entertainment business is that you have to know how to put on a big show," Sabol wrote in the foreword. "After 46 years, the Super Bowl isn’t merely big, it’s an enormous, excessive, preposterous extravaganza — which is what’s so great about it." 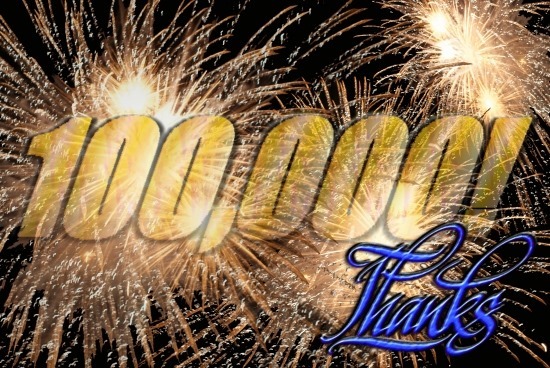 MILESTONE: The Boys Are Back blog reaches 100,000 hits! This is a historic day! 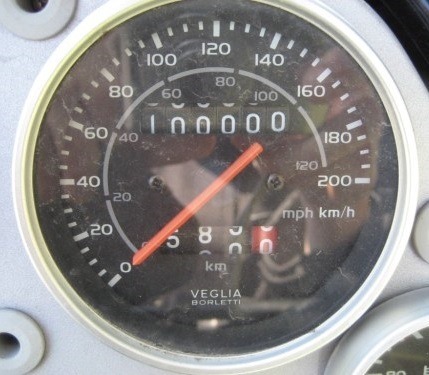 The Boys Are Back blog has reached the 100,000 hit milestone in the first year of existence! Thank you for visiting, leaving comments, and adding The Boys Are Back blog to your favorites. Feel free to subscribe to the RSS feeds or convenient email updates for immediate notifications. A few weeks ago, new sharing options were added to the right side. You can share The Boys Are Back blog with dozens of different news and social media sites. You’re encouraged to click on the ‘LIKE’ button anytime you’re particularly pleased with an article or special photograph. That little bit of effort helps to bring The Boys Are Back blog up higher in rankings. Once again, thanks for visiting and being apart of this historic day! 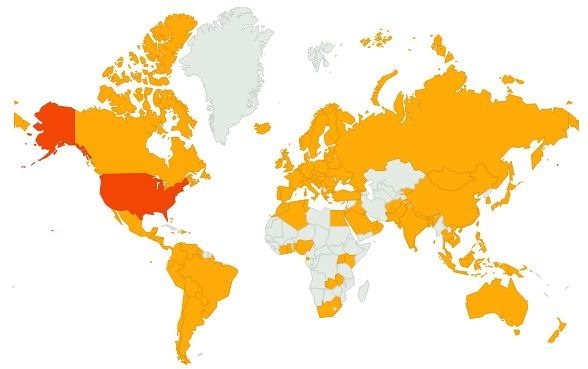 The Boys Are Back blog has been visited by Dallas Cowboy fans in 127 countries! BLOGGERS: You’re welcome to use content found here at The Boys Are Back blog. We just ask that you credit us and post links back to this blog as a professional courtesy. SPECIAL THANKS: Dallas Morning News, Ft. Worth Star-Telegram, San Antonio Express-News, Dallas Cowboys Radio Network, Dallas Cowboys Star Magazine, Dallas Cowboys website, ESPN – Dallas, KRLD 105.3 The Fan, KTCK The Ticket, ESPN Radio, Associated Press, FOX Sports, NBC Sports, CBS Sports, ESPN Sports, NFL Network, NFL National Football League, Dallas Cowboys, USA Today, Charlie Rose, Sports Illustrated, Sports bloggers, Google, Bing, Yahoo, Facebook, Twitter, Digg, Reddit, StumbleUpon, WordPress, AddThis, YouTube, The GREAT Robbini, blog commenters, blog followers, sportswriters, Rival Media Sources, Jerry Jones, Dallas Cowboys coaching staff, Dallas Cowboys management staff, Dallas Cowboys Cheerleaders, and the Dallas Cowboys players (past and present). VIDEO: CBA appeals panel overturned NFL suspensions regarding Saints Bounty program. A collective bargaining agreement appeals panel overturned the NFL’s suspensions of four players for their involvement in the New Orleans Saints’ "bounty" program, NFL Players Association spokesman George Atallah said Friday. While the suspensions are vacated immediately, NFL Commissioner Roger Goodell can go back and suspend the four players if he proves there was an intent to injure. NFL spokesman Greg Aiello said all players are eligible to play, starting this weekend, until Goodell does so. "Consistent with the panel’s decision, Commissioner Goodell will, as directed, make an expedited determination of the discipline imposed for violating the league’s pay-for-performance/bounty rule," Aiello said in a statement. "Until that determination is made, the four players are reinstated and eligible to play starting this weekend." Saints linebacker Jonathan Vilma was suspended for the entire 2012 season, free agent Anthony Hargrove for eight games, Saints defensive end Will Smith for four games and Cleveland Browns linebacker Scott Fujita three games. Fujita and Hargrove played for the Saints during the program’s duration, from 2009 to 2011, under defensive coordinator Gregg Williams, who was suspended indefinitely by the NFL. The suspensions of Williams, coach Sean Payton (season-long), general manager Mickey Loomis (eight games) and assistant head coach Joe Vitt (six games) weren’t involved in this appeals process. Vilma took to Twitter to express his satisfaction about the ruling, writing: "Victory is mine!!!!." Hargrove’s agent, Phil Williams, wouldn’t comment on his client’s status. Williams also wouldn’t say whether or not teams had begun calling him on the assumption that Hargrove is eligible to be on the field for the opening week of the 2012 NFL season. "It’s all too new," Williams told NFL.com and NFL Network reporter Ian Rapoport. When asked if his client is physically able to play after being released by the Green Bay Packers in August, Williams said: "Of course. He’s ready to play if he falls out of bed after a month." According to a source close to Smith, the defensive end plans to play Sunday in the Saints’ regular-season opener against the Washington Redskins and has been led to believe by the team that he will play. Saints safety Roman Harper said he’d welcome the return of his defensive teammates, Vilma and Smith. "Well, if coach (Aaron) Kromer would let him come out, I’d definitely like to play with these guys," Harper told reporters. "I’m excited," Saints quarterback Drew Brees told NFL.com and NFL Network reporter Aditi Kinkhabwala. "I’ve been focused on the game, but I hoped that that would be the case. No, I’m not surprised. I wouldn’t call me surprised. Obviously, they saw the information that we’ve seen for a long time." Dallas Cowboys cornerback Morris Claiborne missed practices throughout the offseason because of his wrist injury. He won’t miss any practices in training camp because of his contract. Claiborne signed a four-year, $16.26 million deal with the Cowboys, a source with knowledge of the situation told NFL Network on Monday. No "offset" language is included in the contract, which has a fifth-year option. The Cowboys’ official website later confirmed the deal and said Claiborne’s fully guaranteed contract includes a $10.3 million signing bonus. With Mike Jenkins also arriving to training camp on time, the Cowboys finally will have the deep cornerback group that they envisioned. 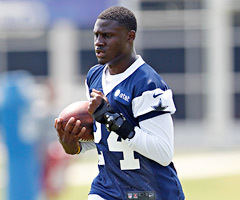 Claiborne reportedly was fully cleared for practice and will be ready to compete for a starting job on Day 1. Claiborne figures to start opposite big free-agent signing Brandon Carr, assuming that August goes as planned for the rookie. Jenkins and Orlando Scandrick will battle for the reserve spots. 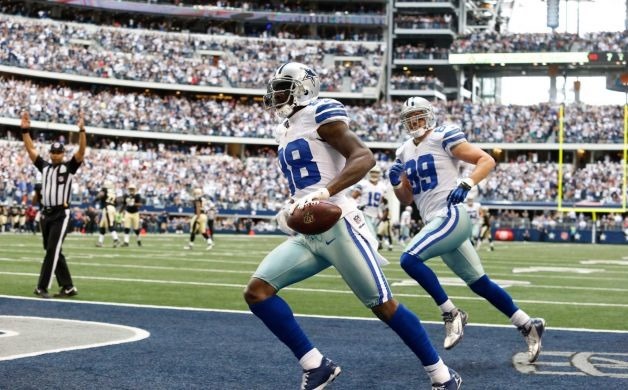 UPDATE: Claiborne tweeted later Monday about officially joining the Cowboys. 03:40 – The No. 6 overall pick in the 2012 NFL Draft, Morris Claiborne checks in to discuss his progress with the Dallas Cowboys. The Dallas Cowboys insist that cornerback Mike Jenkins isn’t on the trading block. Not everyone seems to believe them, but evidence that Jenkins really isn’t going anywhere is mounting. Len Pasquarelli of the Sports XChange reported Sunday, citing a Dallas source, that the Cowboys have "rebuffed" at least four teams that have inquired about Jenkins since the draft. The Indianapolis Colts and Detroit Lions are two known teams that have made offers for Jenkins, Pasquarelli wrote. The Cowboys want at least three quality cornerbacks, and they apparently view Jenkins as being better than teammate Orlando Scandrick. We’ve repeatedly read that the Cowboys won’t get anything in return for Jenkins because he’ll likely leave via free agency in 2013, but even that’s not true. What they get is a year of service from him, and they could pick up a compensatory pick in 2014 when he departs. The NFL Players Association filed a collusion complaint against the NFL in the U.S. District Court of Minnesota on Wednesday, alleging the league imposed a secret $123 million salary cap during the uncapped year of 2010. The NFLPA’s complaint points to the league’s punishment of the Washington Redskins, Dallas Cowboys, New Orleans Saints and Oakland Raiders as proof that restraints were in place to suppress salaries during that year. The filing also alleges that internal NFL calculations showed that Washington was $102,833,047 in excess of the secret cap, Dallas was $52,938,774 over, Oakland was $41,914,060 over and New Orleans was $36,329,770 over. On Tuesday, system arbitrator Stephen Burbank upheld a league decision to take $36 million of cap space from the Redskins and $10 million of cap space from the Cowboys as a result of contracts that the league has said violated the spirit of competitive balance. The league, by owner vote, agreed to take that cap space and spread it among 28 other teams, excluding the Raiders and Saints as beneficiaries as a result of their 2010 actions. "When the rules are broken in a way that hurts the game, we have an obligation to act," said NFLPA executive director DeMaurice Smith in a statement. "We cannot stand by when we now know that the owners conspired to collude." "The filing of these claims is prohibited by the collective bargaining agreement and separately by an agreement signed by the players’ attorneys last August. The claims have absolutely no merit and we fully expect them to be dismissed. On multiple occasions, the players and their representatives specifically dismissed all claims, known or unknown, whether pending or not, regarding alleged violations of the 2006 CBA and the related settlement agreement. We continue to look forward to focusing on the future of the game rather than grievances of a prior era that have already been resolved." NFL DRAFT TRACKER 2012 – National Football League – WATCH THE 2012 DRAFT LIVE! NEW YORK — It happens every year. After months of studying players, talking with team officials and analyzing how the first round of the NFL draft might play out … it all changes in the last couple of days before the event begins. Teams stop being so close to the vest with their information, partially to start trade conversations, but also because team meetings have concluded and franchises have finally zeroed in the players they deem worthy of multi-million dollar investments. Last year, for example, it did not become apparent that four quarterbacks would be taken in the top 12 picks until the day before the draft. The Tennessee Titans ended up selecting Jake Locker and the Minnesota Vikings took Christian Ponder, despite their inconsistency and injury issues, respectively. So, here’s the last-minute draft buzz making the rounds this year. A few items would’ve seemed highly unrealistic just one month ago. Some or none of this of this could come to fruition. This unpredictability is what makes the NFL draft so watchable. • Minnesota takes CB Morris Claiborne at No. 3. If former NFL defensive back and current Vikings head coach Leslie Frazier gets his way, he and general manager Rick Spielman will throw out the idea of picking USC left tackle Matt Kalil to protect their first-round pick from 2011 (quarterback Christian Ponder). Claiborne gives them a chance to match up better with elite receivers in their division: Green Bay Packers’ star Greg Jennings, new Chicago Bears threat Brandon Marshall and, of course, Detroit Lions beast Calvin Johnson. • South Carolina CB Stephon Gilmore goes in the top 10. Whether it’s the Jacksonville Jaguars with the seventh pick or the Carolina Panthers at nine, a team may agree with Minnesota that the position is too important in today’s game to ignore. Six-foot-tall cornerbacks with 4.4 speed like Gilmore don’t grow on trees. • The Philadelphia Eagles trade into the top 10 to pick a defensive tackle. Andy Reid and the Eagles moved up in the first round in 2003 (to get DE Jerome McDougle), 2004 (OT Shawn Andrews), 2009 (WR Jeremy Maclin) and 2010 (DE Brandon Graham). They have an extra second-round pick from the Kevin Kolb trade as ammunition, so look for a move to get a defensive tackle to rush the passer (Mississippi State’s Fletcher Cox) and/or shore up the run defense (LSU’s Michael Brockers or Memphis’ Dontari Poe). • The Dallas Cowboys make a move. 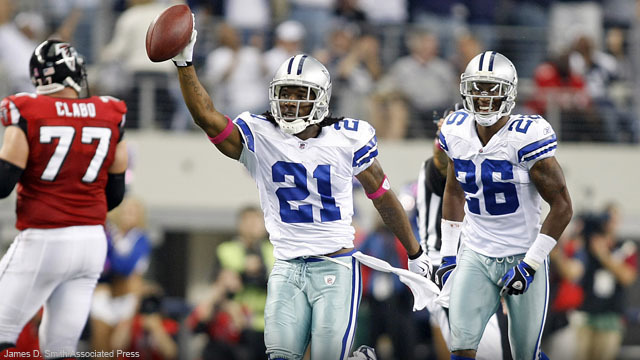 In six of the past 10 drafts, the Cowboys have moved up or down in the first round; in two of the past four, they moved up to select cornerback Mike Jenkins (2008) and wide receiver Dez Bryant (2010). If they want safety Mark Barron, Cox (as a 3-4 defensive end), receiver Michael Floyd or Gilmore, they’ll make the call to get into the top 10. Jacksonville and Carolina are the two teams likely to say “yes” to trade offers with Dallas, Philadelphia or anyone else looking to be bold. • Boston College LB Luke Kuechly goes higher than expected. Tampa Bay at No. 5, Jacksonville at 7, Carolina at 9 and Buffalo at 10 are all potential landing spots for the talented Mr. Kuechly. His NFL Scouting Combine workout proved he is athletic enough to run to the ball and make plays in coverage. Remember that Green Bay selected A.J. Hawk with the fifth overall pick in 2006 and Seattle picked Aaron Curry fourth in 2009, two linebackers considered “safe picks” early in the draft. • Alabama LB Dont’a Hightower goes higher than expected. If the Chiefs can’t get Kuechly, then the 6-foot-2, 265-pound Hightower may be the perfect answer to play either inside next to Derrick Johnson or outside to be another pass-rush threat alongside Tamba Hali and Justin Houston. The versatility he showed while in Nick Saban’s multiple-front defense at Alabama makes him very intriguing to NFL teams running similar systems. • Syracuse DE/OLB Chandler Jones comes off the board in the first 12 picks. Last year, people didn’t think Missouri DE/OLB Aldon Smith would go as high as No. 7, but the San Francisco 49ers picked him there and used him as an impact pass-rush specialist. (Smith posted 14 sacks last season.) Carolina (ninth pick), Buffalo (10) and Seattle (12) are all potential landing spots for the brother of Baltimore Ravens defensive lineman Arthur Jones and UFC light heavyweight champion Jon “Bones” Jones because of his genetic athleticism, size, length and upside. • Brandon Weeden goes No. 22 to the Cleveland Browns. Assuming the Browns are not interested in taking Ryan Tannehill and that they think Weeden is a better future signal caller than Colt McCoy, they may just take him with their second first-round pick at No. 22, eliminating the risk that another quarterback-hungry team (Bills, Cardinals, Chiefs, Eagles) could trade ahead of them later in the first or early in the second round. • Ole Miss LT/RT Bobby Massie is selected in the first round. The Steelers, Texans, Ravens and Giants could all use help at offensive tackle, and the long, athletic Massie’s potential to make the switch to left tackle might push him up boards. The slide of Ohio State tackle Mike Adams, potentially out of the first round, may also help Massie’s case. 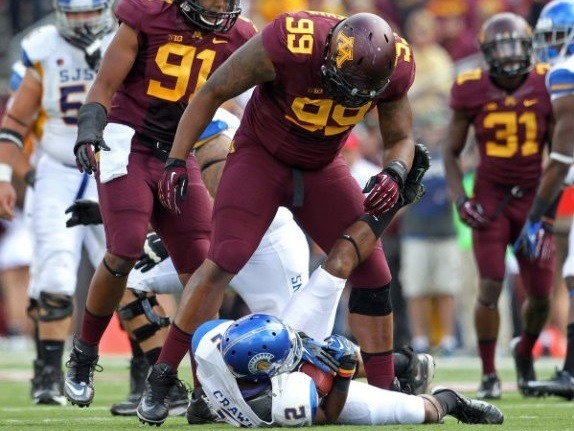 • Midwestern State OG Amini Silatolu goes in the first round. Scouts were disappointed Silatolu could not participate at the Senior Bowl due to a hamstring injury, but his film (even against Division II competition) created enough buzz that the Steelers could select him with the 24th overall pick. Baltimore (29) and San Francisco (30) also need interior line help and could add the runner-up for the 2011 Gene Upshaw Award (the honor for the top Division II offensive lineman was won by Joe Long, brother of Miami Dolphins left tackle Jake Long). The arbitration hearing between the NFL, Dallas Cowboys and Washington Redskins on the salary-cap penalties levied against the teams will be heard May 10 in front of league system arbitrator Stephen Burbank. Motions must be filed before the hearing, and while that process can take time, it’s expected to happen as scheduled. The site of the hearing is up to Burbank, who is expected to hold it in Philadelphia, near or at the University of Pennsylvania, where he works as a law professor. The Redskins are appealing $36 million in cap space docked by the league, applied over this season and next. The Cowboys are appealing a similar cap-space penalty of $10 million. The league penalized the Redskins and Cowboys in March for using the uncapped 2010 year to create what was characterized as an unfair competitive advantage going forward, dumping large base salary numbers into 2010 on contracts for wide receiver Miles Austin in Dallas’ case, and cornerback DeAngelo Hall and defensive tackle Albert Haynesworth in Washington’s case. The teams’ perspective is that there were no rules against doing that on the books, though other teams were upset about the moves. A number of teams were adversely affected by the actions of the Cowboys and Redskins and were active in supporting the league pursuing the punishment, reflected by the 29-2 vote of owners (Washington and Dallas voted against it, and the Tampa Bay Buccaneers abstained) taken at the March league meeting to move forward with the penalties. Among those hit were the San Diego Chargers, Miami Dolphins and Baltimore Ravens. Austin’s contract was instrumental in pushing the franchise receiver price tag from $9.5 million in 2010 to $11.3 million in 2011. San Diego franchised Vincent Jackson at the latter number in 2011. The leverage Jackson gained from having an $11.4 million tender made him difficult to sign to a long-term deal, and the resulting 2012 franchise figure — by rule, 120 percent of the previous number, which came out to $13.7 million — made it even harder for the team to tag him again. So San Diego, which likely would have tagged Jackson again had the number been more affordable, let Jackson walk. He signed a five-year, $55.6 million contract with the Bucs this offseason. Similar to Austin’s deal, Haynesworth’s contract with the Redskins was central to the defensive tackle number soaring from $7 million to $12.5 million. Baltimore subsequently tagged Haloti Ngata at that figure in 2011. And while the Ravens wound up getting Ngata signed to a five-year, $61 million contract, having that extra $12.5 million on the cap from July until September cost them the ability to be more aggressive in free agency, according to team sources. A similar dynamic existed, from a budget standpoint, in Miami, where Paul Soliai played 2012 under the $12.5 million defensive tackle tag figure. The franchise tag number also soared at Hall’s position (cornerback), jumping from $9.6 million to $14 million. No player was franchised at the corner position in 2011. The top 2011 free agent at that position, Nnamdi Asomugha, would’ve had a high number regardless, because of his already high financial numbers, and the Oakland Raiders contractually couldn’t tag him anyway. But Johnathan Joseph is an example of a player who might have been franchised if the number was lower than $14 million. The Cincinnati Bengals franchised kicker Mike Nugent instead, and Joseph bolted to the Houston Texans. WELCOME TRUE BLUE DALLAS COWBOY FANS! Click below to receive email notifications of new posts from The Boys Are Back! Gotta have it ... sign me up! Tell us if you LIKE it, partner! Dallas Cowboys rematch against the evil division rival New York Giants. Redskins’ 2019 NFL draft guide: Will Washington take a quarterback in the first round? 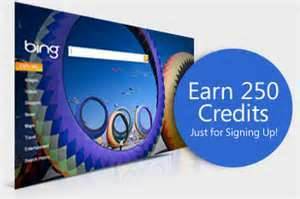 Bing Rewards Signup for Bing Rewards and earn rewards for something you already do … search. I’ve earned nearly 20000 points and received $200 in gift cards. Very cool. Check it out. Blu eCigs Resisting the urge to litter this blog with irritating ads. However, decided to share a special product endorsement. If you’re a cigarette smoker, over 18 years of age, check out Blu eCigs with this link. Save $10 instantly. NFL GAME REWIND Watch, re-watch, and pause EVERY NFL game in high definition on your computer, tablet, or phone! View 30 minute condensed games or full broadcast versions! All games are COMMERCIAL FREE! Includes Super Bowl archives!